This year 2018 is going to be the 16thyear while this would be my 8thyear participating in the PhotoMarathon in Singapore! Taking place on 28thJuly 2018 is Canon PhotoMarathon XVI, register now and be a part of a PhotoMarathon for the Community! I made my maiden debut competing in Canon PhotoMarathon in the year 2008, followed by 2011, 2012, 2013, 2015, 2016 and 2017. From the links, you can read my personal stories during my years of participation, including the various unique, interesting and challenging Canon PhotoMarathon themes during my seven years of participation! Looking back at my different years of participation, they were some good memories, participating together with friends and taking photographs together in groups for the submission of the competition themes. There were also times when I shot alone, a time whereby I am able to challenge and push myself in the areas of photography creativity, shooting a photography theme under a limited timeline and pressure during the Canon PhotoMarathon competition format. Even though I never won anything during my years of participation, it had always been fulfiling and fun, observing other photographers point of view, how they compose and shoot their photographs based on the same competition themes. No doubt this is a photography competition with very attractive prizes to be won, Canon PhotoMarathon had always been a fun community event in Singapore for photographers to gather, have fun, catch up, challenge themselves in a fun yet photography challenging competition. Over the past few years, I had seen the organisers making improvements and changes, this year’s Canon PhotoMarathon 2018 looks to be something special and refreshing, with a new competition format and also giving back to the community. What makes Canon PhotoMarathon Singapore 2018 XVI special and different this year? Did you read about my earlier article on Canon Singapore announcement on their two sports sponsorship agreements, someone very special is going to make an appearance! Back for its 16th year, Canon PhotoMarathon XVI is slated on 28 July at Suntec City Convention Hall 401-402, from 9am to 10pm. This year, Canon is taking a step further by giving back to the community and also introducing exciting new elements such as a ‘dusk’ challenge in the competition format. 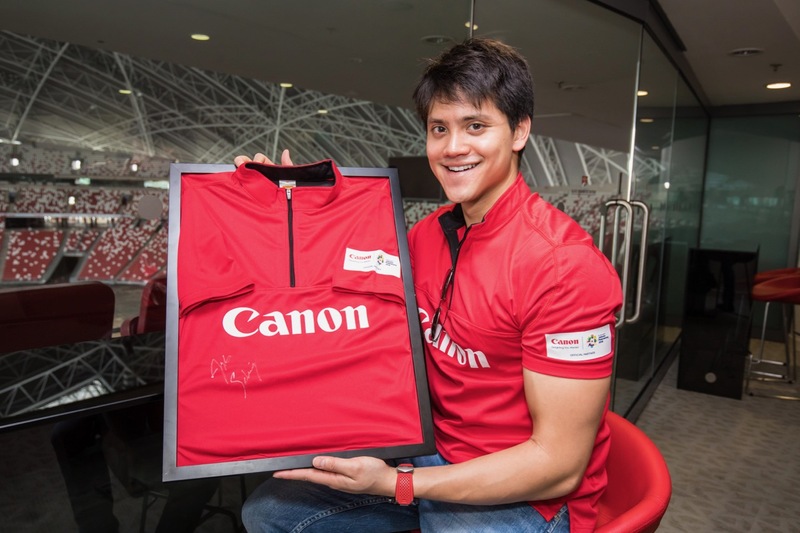 In line with Canon’s ongoing support of the local sporting scene, Canon has recently announced a partnership with Joseph Schooling, who will be present at the Canon PhotoMarathon XVI. Canon has also pledged to donate all event registration fees collected to The Straits Times Pocket Money Fund (STSPMF), a community project to fund school-going childrenfrom low-income families. In support of Canon PhotoMarathon which seeks to inspire and bring the photography community closer, Joseph will be at the event to unveil one of the competition themes. Synonymous to sports, which rallies our community closer together, photography has the powerful ability to transcend differences and connect people from all walks of life. Canon PhotoMarathon 2018 is just a few weeks away, time to rally and gather your fellow photographer friends to register together, come on down on 28thJuly 2018 and be a part of Canon PhotoMarathon for the Community! It’s not just about photography competition, wanting to win the attractive prizes, this is also about community and giving back, the photography community and the Singapore community coming together and being together through the fun and love of photography. I am going for my no. 8thCanon PhotoMarathon, it’s not so much of a photography competition for me, this is more of a photography community, networking with fellow professionals and gathering of old photography friends, making new photography friends, having fun and giving back to the Singapore community. Let’s all join in and be a part of A (photo) Marathon for the Community!